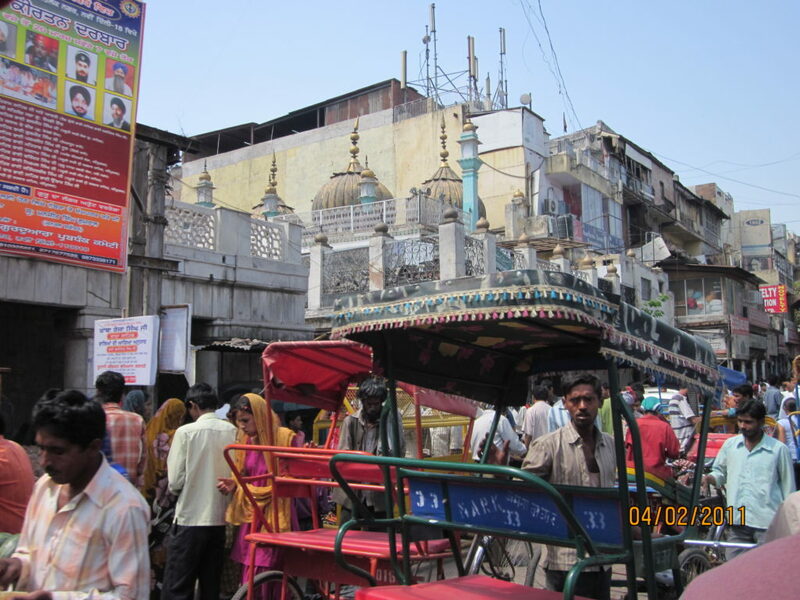 Old Delhi. Photo by Marc Kristal. Toward the end of my 17-hour Lufthansa flight to Delhi last April, an explosion of cheering rolled through the plane. Over the course of the trip, the pilot, in German-accented English, had been delivering updates on the India-Sri Lanka World Cup cricket final, made comic by the fact that he did not understand the game – “I hope some of you know what that means, as I certainly have no idea” was his sniffiest crack. Now, apparently, the pilot had announced victory; when we finally touched down, not only the passengers, but all of India, remained celebratory. It was a good start to what promised to be a singular voyage: a collaboration between the luxury travel company Abercrombie & Kent and India’s Oberoi Hotel Group. The former has, since 1962, been crafting small-group, specially-designed tours of some of the world’s more exceptional destinations, and had developed a bespoke itinerary – tailored to the interests of myself and my traveling companions – overseen by a guide who would remain with us for the entire ten-day, six-city trip. 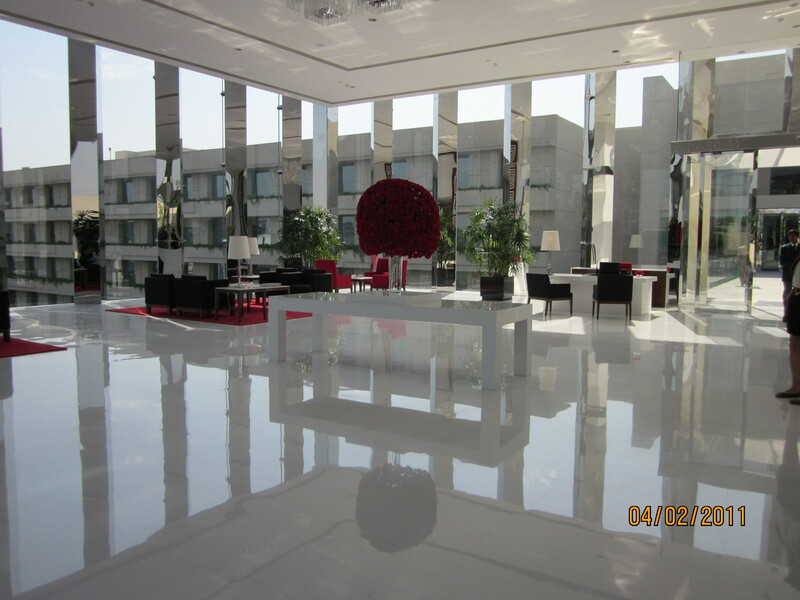 Oberoi, meanwhile, would handle the ultra-luxury accommodations. Begun in 1934 by Mohan Singh Oberoi, the presiding figure of India’s hotel industry, the family-operated company has eleven business and leisure hotels in the country, many reflecting their local histories and aesthetic influences, all recognized for their high level of service. I confess to being as in the dark regarding the ways of cricket as our pilot. But as, departing customs, we are met by representatives of both organizations – seemingly delighted to see us, despite it being after 1 AM – and taken to the comfortably appointed minibus that would serve as our trip’s chariot, I remain perfectly clear about finding myself in excellent hands. Oberoi Gurgaon. Photo by Marc Kristal. The big news is that we are not, in fact, in Delhi but rather Gurgaon, which is just outside it and is, in effect, a new city. A generation ago it was a farming village with little in the way of construction or population. Around that time – realizing that land outside the capital was eventually going to become valuable – a group of businessmen, with the government’s assistance, began buying out the farmers and having their land re-zoned. Who precisely got wealthy, in India’s famously corrupt government, off this is hard to say, but the gamble paid off: Gurgaon is now a center of business and commerce – innumerable call centers, plus the preferred place for international companies to set up operations – and one of the wealthiest enclaves in the country. With all of that money focused in a relatively small area, the Oberoi people created a hotel that is effectively a world of its own, one catering to the luxury tourist market, business people, and local residents looking for places to dine and shop. The complex is a rectangle nestled in a man-made forest, its built features surrounding a dazzlingly blue, 36,000-square-foot reflecting pool; the 202 rooms are contained in a somewhat pre-Columbian-looking volume, which faces an ivy-covered, 50,000-square-foot retail arcade across the water; these two are joined by what the hotel calls the “Jewel Box,” a glass-and-steel structure containing the lobby, restaurant, and meeting spaces, notable for the colossal scale of the public rooms and the blinding sunlight bouncing off the marble surfaces within (by day, the lobby requires Ray-Bans). It is a monumental compound, devoted to the things most people in India, I am to discover, don’t have – quiet, space, and water. A detail from Lutyens President's House. In the lobby the following morning, we are met by Bhowani Singh, the A&K representative who will be with us for the entire journey, a dapper gentleman with the large, melancholy, bloodshot eyes of a Bassett hound. Once ensconced in our minibus, we take off for Delhi, and Bhowani and a second A&K guide – a local specialist, which the tour company provides at every destination – explain that, like Washington, D.C., it is “a state unto itself”; indeed, the new city, which the British made India’s capital in 1911 and was master-planned by the classical architect Edwin Lutyens, shows the orderly layout and elegant Indo-Saracenic Revival architecture of a great colonial outpost. 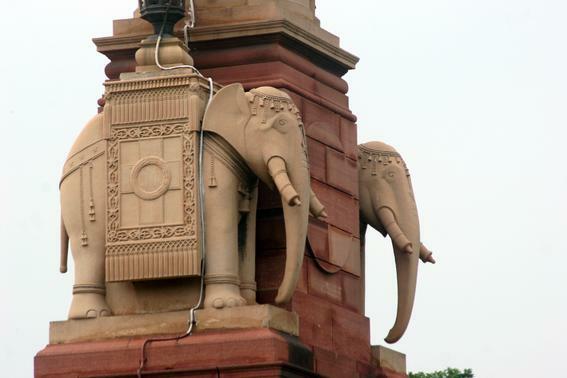 I am surprised by the broad streets lined with gracefully shaggy acacia and tamarind trees, very well looked-after, and find it hard to believe, admiring the magnificent Rajpath (“Kings Way”), anchored at one end by Lutyens’ 1929 President’s House and the monumental India Gate at the other, that this is the sprawling dystopia (population: 18 million) of legend. 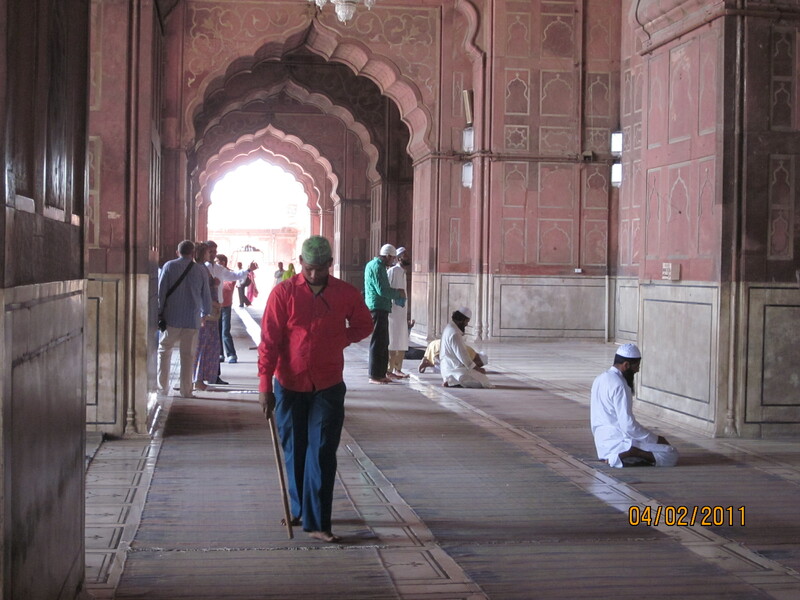 Our arrival in Old Delhi, just within the sandstone walls of Emperor Shah Jahan’s Red Fort, corrects my impression. In a ten-minute bicycle rickshaw ride along the tumultuous commercial lanes, overhung with vinelike tangles of electrical wire, off Chandni Chowk, the main street of the district, I am exposed to more visual, auditory, olfactory, social, cultural, architectural, urbanistic, historical, and sheer human information than I typically receive in a year; moments later, climbing the long steps of the 17th-century Jama Masjid, India’s biggest and best-known mosque, surrounded by beggars clutching woebegone infants, I am still struggling to process the hallucinatory blur through which I’ve just driven. Half an hour later, exiting the holy calm of the mosque into a nonstop racket of car horns, the unshakable press of peddlers, and people, people, people, I think: This is India. Marc Kristal is an architecture, design and travel writer. Kristal, a contributing editor of Dwell and a former editor of AIA/J, and has written for The New York Times, Architectural Digest, Elle Decor, Wallpaper, Surface, and numerous other publications. In 2003, he curated the exhibition ‘Absence Into Presence: The Art, Architecture and Design of Remembrance’ at Parsons School of Design, and in 2009 he was part of the project team that created the award-winning Greenwich South planning study for the Alliance for Downtown New York. His books include Re:Crafted: Interpretations of Craft in Contemporary Architecture and Interiors (2010) and Immaterial World: Transparency in Architecture (2011), both from The Monacelli Press. Also a screenwriter, Kristal wrote the film Torn Apart. He lives in New York.